Homemade for Elle offers 21 different uses for fresh basil. They are primarily different food and drink recipes. I love basil so I was happy to see this post. 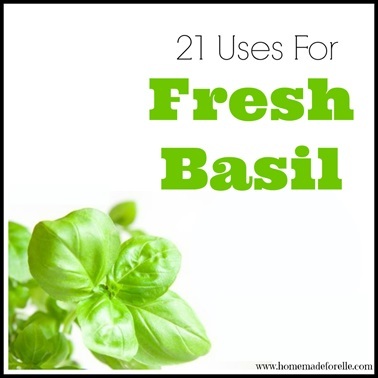 Click the 21 Different Uses for Fresh Basil link below to read the complete list.